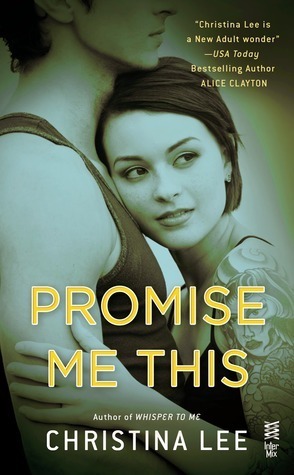 Welcome to my stop on the blog tour for Promise Me This! I love this series and am so excited to be taking part! With Jessie, he can be himself and explore what he’s always felt was a terrifying darkness inside him. Even when Nate begins to crave her in a way that both shocks and horrifies him, Jessie still wants to know every part of him. Testing their boundaries together will take a trust that could render them inseparable… or tear them apart." This is seriously the perfect series for New Adult fans. It has all the elements you want from a New Adult book, but each book still feels fresh and new. It never feels like I am reading a carbon copy of something else. I was really excited when I found out this book would be about Nate and Jessie since they both seem so different. I’m starting with Nate because that boy wormed his way into my heart. My poor poor Nate. He has not had it easy growing up. He has spent his whole life watching his dad abuse his mother and now he is watching his brother spiral down the same path. His head is not a pretty place and he worries that he will end up like his dad, which is why he stays far away from relationships. What Nate can’t see if that he is so different from his dad and that he is a truly good person. My heart really broke for him and what he was dealing with, especially when he finally started to combat those demons. Jessie is simply awesome. I absolutely loved this chick. She is independent and spunky and very much her own person. She has no problem taking care of herself. She is self-assured and knows what she wants in life. I loved this about Jessie. I loved that she was the strong one in the situation and that it was the guy who had demons to work through. That was a nice change of pace and role reversal compared to a good amount of other New Adult reads. I also loved how supportive Jessie was of Nate. She was there for him when he really needed someone and was the support system he needed to finally be able to make changes and face his childhood. I loved that despite the attraction between them and the confusing feelings, she was also capable of being a good friend to him when he needed one. Nate and Jessie on paper look like polar opposites, but in actuality they work perfectly together. They would never have considered one another each others type, but then again they have never been more attracted to someone else. It was fun to watch them sort through what they thought they knew and discover what they actually wanted. It was just a very fun relationship to watch develop. I really just loved them together. I also want to discuss the domestic abuse side of the story. I’m not going to lie, it is very very difficult to read about and those scenes are just plain scary. My heart broke for Nate’s mother and for whatever reason she believed she needed to stay. It hurt even more because it wasn’t just hurting her but it was also hurting her two little boys. I can’t even begin to imagine what it was like for her and those two boys growing up. It is even worse because I know this situation exists out in the real world and it makes me hate people like Nate’s father. There is no excuse in the world for his abhorrent behavior. 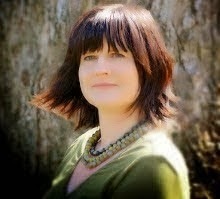 Promise Me This is another good read from Christina Lee. I have always enjoyed this series and I really do love the way she takes typical New Adult elements and makes them her own. I also really just loved that the girl was the strong one in this book. I would really love to see these roles reversed more often in New Adult. All in all, Nate and Jessie have great chemistry and that chemistry resulted in a great read. Christina rocks at role reversal! I love it! OMG Nate. He is tied with Bennett for second place of the Lee boys. LOL. Jessie totally rocked too. She may very well be my favorite of Lee's girls! The domestic abuse side was difficult to read and it hurt my heart. But I love that Lee tackles real issues that I'm sure actual college students are going through. I want Emmy's story next! :D Great review girl! I've been hearing quite a few good things about this one! I know I should definitely read it! I want to meet Nate, sounds like he will steal my heart! And I do love emotional books, so this one sounds like one that I would just eat up!!! It really is the perfect NA series. Love it so much.